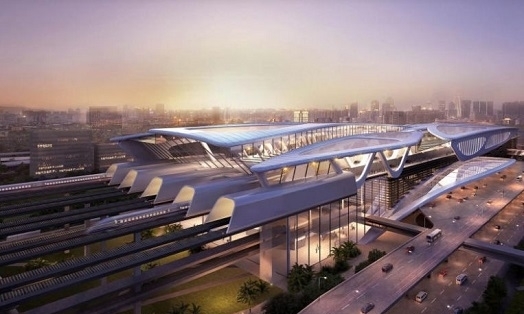 SINGAPORE - Malaysia informed Singapore on Thursday afternoon (Jan 31) that it has remitted $15 million as payment for the abortive costs the Republic incurred as a result of the Kuala Lumpur-Singapore High-Speed Rail (HSR) project being suspended. Singapore's Ministry of Transport (MOT), in response to media queries, said in a statement on Thursday (Jan 31) that it has received confirmation from the Malaysian government, through diplomatic correspondence, that the reimbursement has been made. The amount was agreed last September when both countries inked a deal to suspend the HSR project for about two years, up to May 31, 2020. The reimbursement was to be made by the end of January 2019. "But a significant amount which has been spent will be completely wasted expenditure if the project does not proceed." Malaysian Prime Minister Mahathir Mohamad had initially wanted to scrap the HSR as part of a review of his country's mega projects, in a bid to trim a RM1 trillion (S$329 billion) national debt. However, a deal was negotiated to suspend the project instead as a cancellation would have entailed a high amount of compensation under the HSR agreement signed between the two countries. With the delay, the HSR express service will start running only on Jan 1, 2031, instead of Dec 31, 2026, as planned initially. The 350km HSR link would cut travelling time between Kuala Lumpur and Singapore to 90 minutes, compared with more than four hours by car. Transport Minister Khaw Boon Wan told Parliament in October 2018 that the abortive costs include contract breakage costs, which Singapore has to pay to contractors for terminating ongoing projects, and to wind down operations. For ongoing excavation works, for example, the excavations must be back-filled for the site to be safe, and re-excavated when the project resumes, thus increasing costs, Mr Khaw said. Up to the end of May 2018, Singapore had spent more than $250 million to implement the HSR project, which included costs for consultancies to design the civil infrastructure, costs for manpower and costs for land acquisition. More than $6 million in costs was incurred in June, another sum of more than $6 million in July, and at least $40 million is projected to have been spent from August to the end of 2018. Mr Khaw has said that Singapore can recover value for some of the expenditure, even if the HSR project does not proceed. "But a significant amount which has been spent will be completely wasted expenditure if the project does not proceed," he told Parliament in July 2018.